This tasty ‘tini is sweet as can be, and the bacon adds just the right contrast. 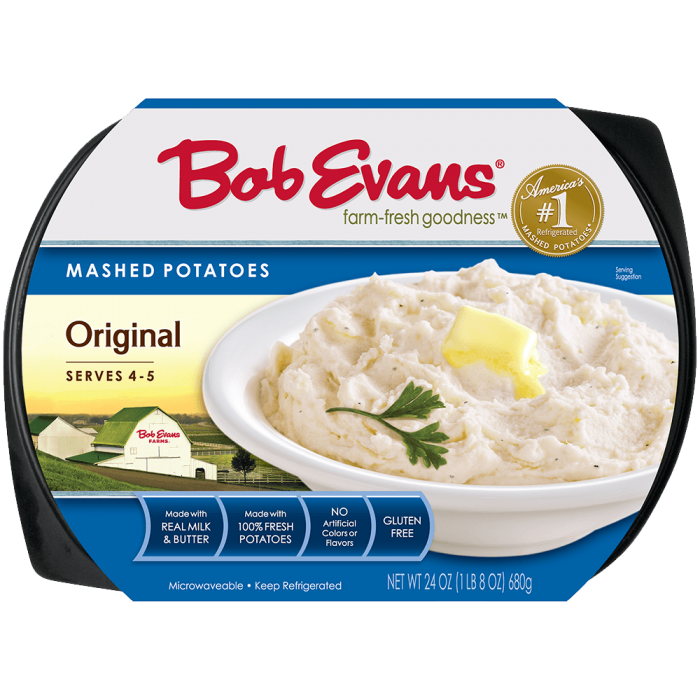 Prepare Bob Evans Original Mashed and Mashed Sweet Potatoes by following the recommended microwave instructions on the package. Place about 1/3 cup (1/8) package Bob Evans Original Mashed Potatoes in bottom of each martini glass. 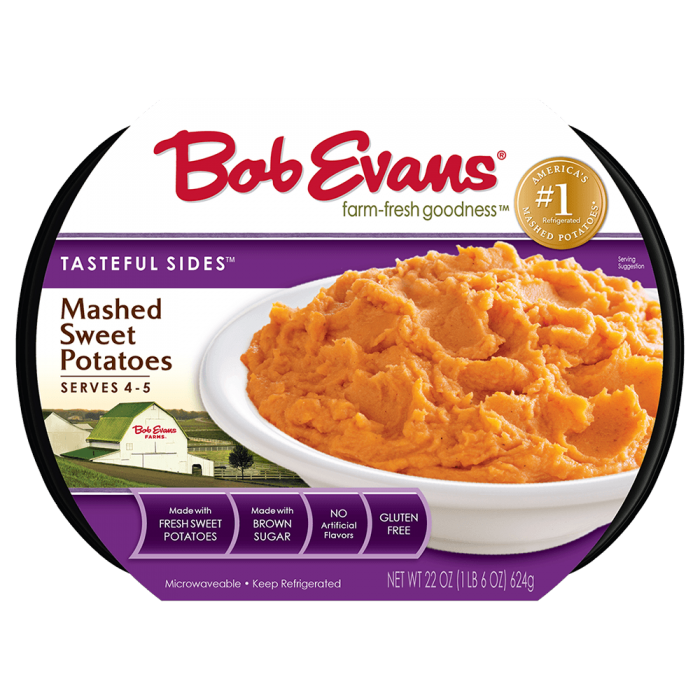 Layer about 1/3 cup (1/8 package) Bob Evans Mashed Sweet Potatoes over Original Mashed Potatoes. Repeat layers, using about 1/3 cup Original, then 1/3 cup of Mashed Sweet Potatoes. Top with 1 Tbsp. 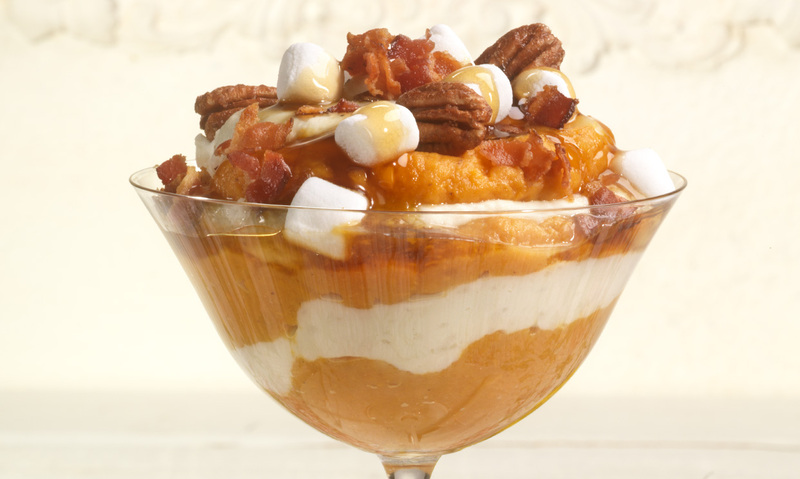 each of the marshmallows, pecans and crumbled bacon. Drizzle with 1 Tbsp. of warmed maple syrup. 1 Prepare Bob Evans Original Mashed and Mashed Sweet Potatoes by following the recommended microwave instructions on the package. 2 Place about 1/3 cup (1/8) package Bob Evans Original Mashed Potatoes in bottom of each martini glass. 3 Layer about 1/3 cup (1/8 package) Bob Evans Mashed Sweet Potatoes over Original Mashed Potatoes. 4 Repeat layers, using about 1/3 cup Original, then 1/3 cup of Mashed Sweet Potatoes. 5 Top with 1 Tbsp. each of the marshmallows, pecans and crumbled bacon. 6 Drizzle with 1 Tbsp. of warmed maple syrup.